Since 2000, The Honourable Rick Colless has been a steadfast member of the NSW Nationals in the Legislative Council. 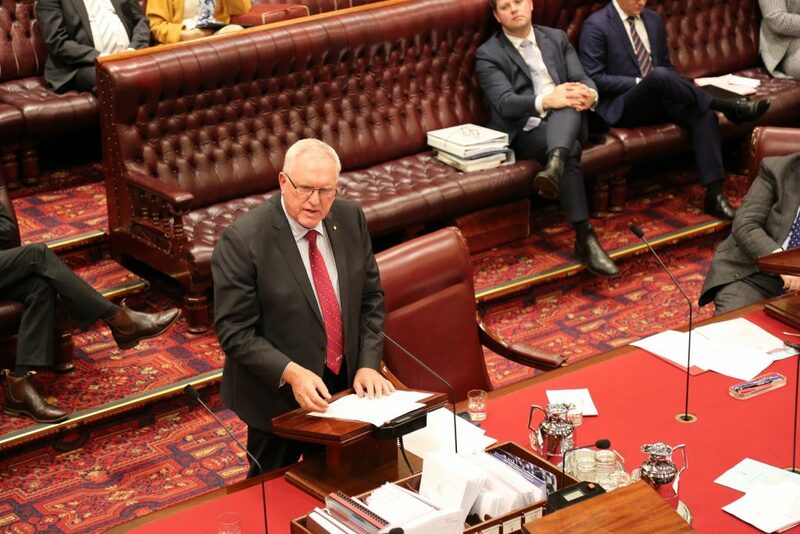 The Parliamentary Secretary for Natural Resources and Western NSW has been a strong advocate for regional and rural communities both in Opposition and Government, but decided it was time to retire from Parliament, giving his valedictory speech in the NSW Legislative Council on Wednesday. Mr Colless spoke of frustrations in Opposition during successive Labor Governments as it placed the whims of inner-city Greens over the needs and livelihoods of rural and regional communities. However, Mr Colless also took the time to personally thank current and former staff, leaders and colleagues from both sides of the chamber. He also thanked his family for their support over the years and their contribution to the regions.